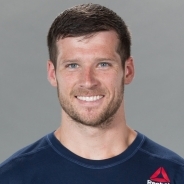 Travis is a 4X CrossFit Games Competitor and box Owner of CrossFit Passion in Alpharetta, Georgia. His coach Max El-Hag and Travis have been working together for the past 6+ years, and trying to accomplish all of his goals as an athlete. He is a sponsored athlete of Nike, Macrostax, Victory Grips, and Training Think Tank.